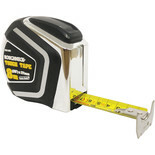 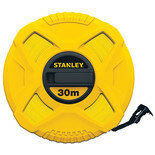 A 10 metre / 32ft tape measure for both professional & DIY use with an impact resistant rubber casing for durability, and three position instantaneous stop button. 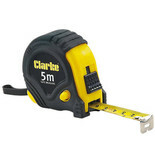 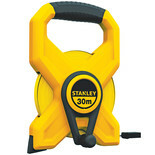 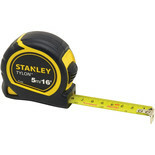 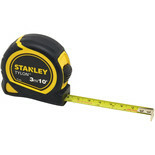 A 5 metre / 16ft tape measure for both professional & DIY use with an impact resistant rubber casing for durability, and three position instantaneous stop button. 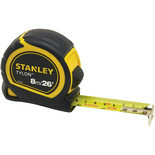 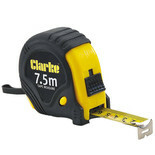 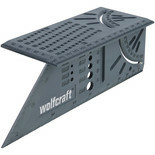 A 7.5 metre / 24ft tape measure for both professional & DIY use with an impact resistant rubber casing for durability, and three position instantaneous stop button. 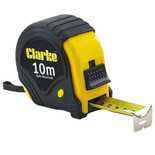 30 metre measure with clear metric and imperial graduations on a easy clean surface.